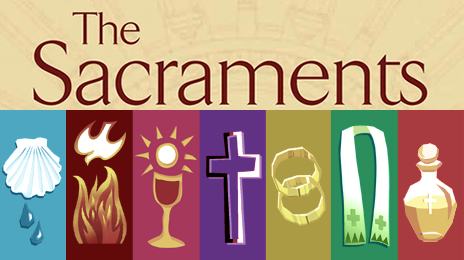 We celebrate the Sacraments as a faith community, growing together as we welcome new members, share in the Eucharist, support each other in times of need and go out to serve our neighbors. We joyfully offer the opportunity for all to grow in their faith through participation in the Sacraments. Baptisms are offered once per month in Spanish (Saturday) and in English (Sunday). Parents are required to participate in a Baptism preparation class prior to their child’s baptism. For more information about Baptisms at St. John Berchmans click here. Preparation is coordinated through our Religious Education or parish school programs. Please click here for more information. The Archdiocese of Chicago coordinates a special program for Catholics age 19 and older who have already received the Sacraments of Baptism and Eucharist. Please click here for a calendar of Adult Confirmation classes offered throughout the Archdiocese. Priests are available for confession each Saturday at 4 p.m. or by appointment. Please contact the parish office at 773-486-4300 for more information. Please contact our pastor, Fr. Wayne F. Watts, to discuss requirements for the Sacrament of Marriage at least six months in advance of your desired wedding date. We offer PreCana Marriage Preparation classes twice a year. Click here for more information about wedding guidelines and PreCana seminars. If you, or someone you know, would like to receive the Sacrament of Anointing of the Sick please call the parish office. St. John Berchmans also offers Anointing Masses during the year. Please check the parish calendar or bulletin for exact dates and times. Please contact the Archdiocese of Chicago’s Vocations Office for information regarding preparations for ordination to the Priesthood.